The Sugar Land Skeeters and The New 93Q hosted its first-ever “Country at the Ballpark” during the second week of October at Constellation Field. 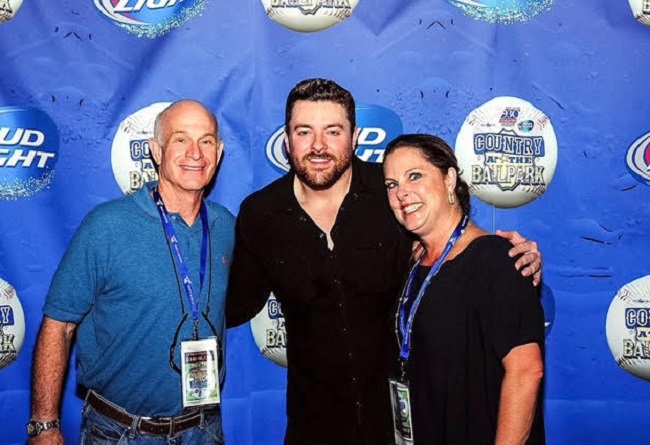 This exciting new country music event featured an All-Star lineup consisting some of the hottest acts from Nashville and Texas: Chris Young, Eli Young Band, and "The Voice’s" Season 3 winner Cassadee Pope. More than 9,000 tickets were sold for the concert that took over six months of planning. The event was such as success that the Skeeters hope to turn it into an annual country concert. The Sugar Land Skeeters are led by former Major Leaguer Gary Gaetti and play at Constellation Field, a state-of-the art stadium located at the intersection of State Highway 6 and U.S. Highway 90A in Sugar Land. The Skeeters play 140 regular season games in the Atlantic League, considered the highest level of Minor League Baseball. Atlantic League players are “Major League ready” and in the last 16 years, over 700 players have graduated from Atlantic League clubs to Major League organizations, making the League a preferred route for experienced players to be scouted by Major League Baseball.